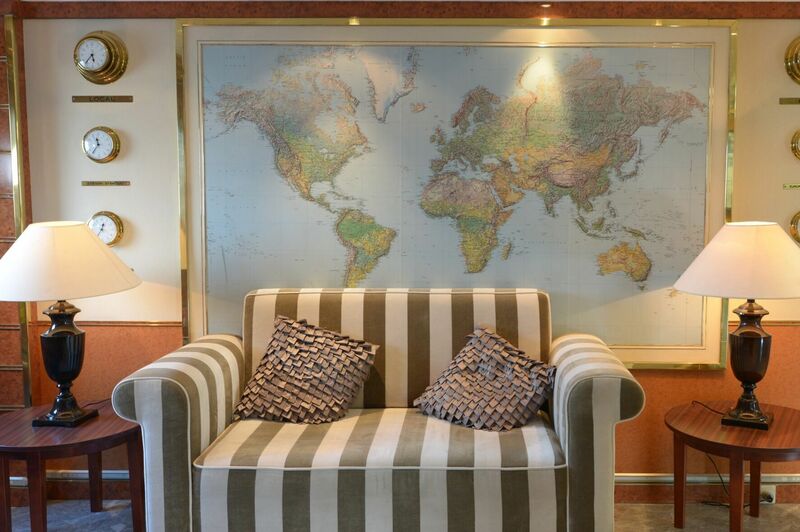 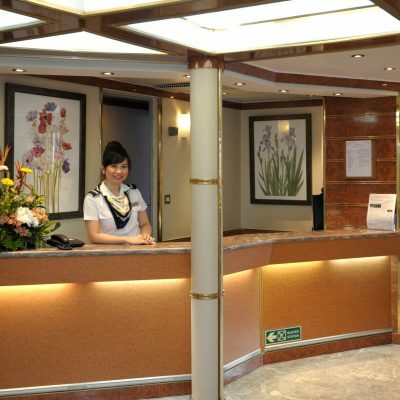 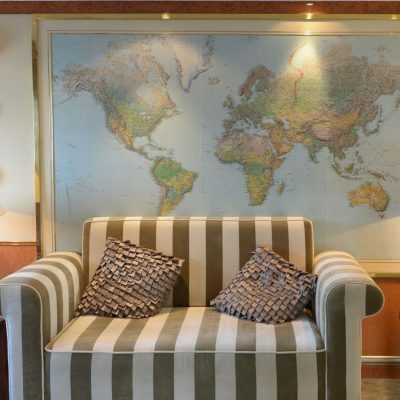 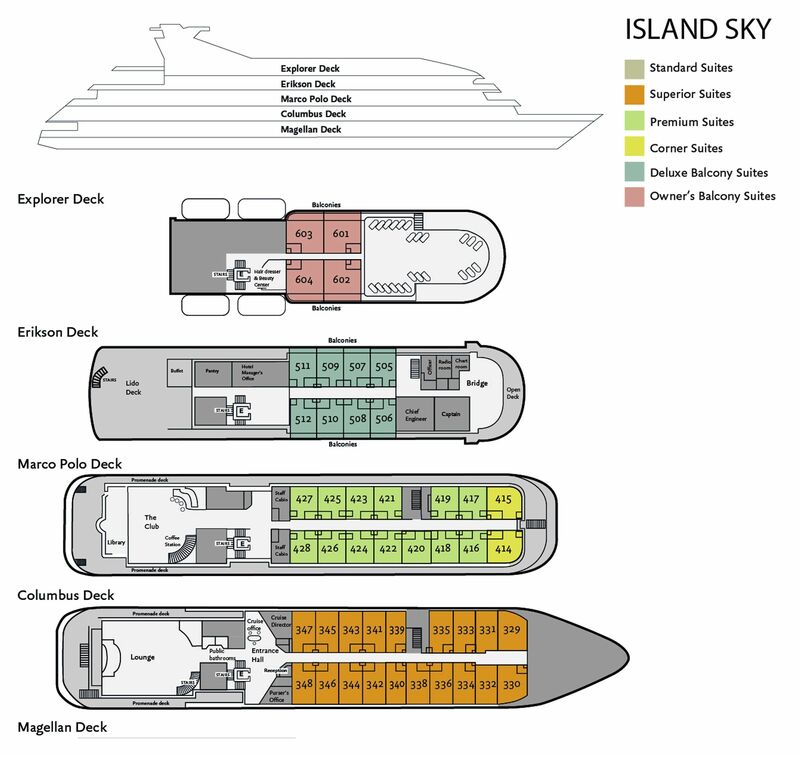 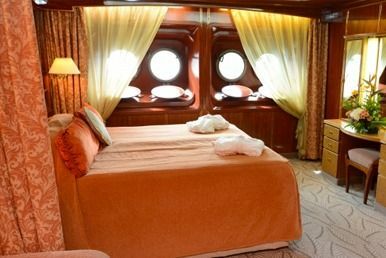 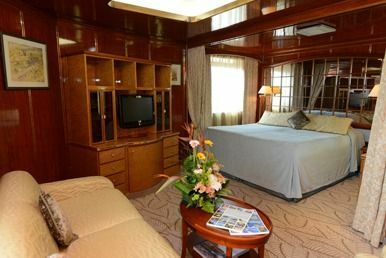 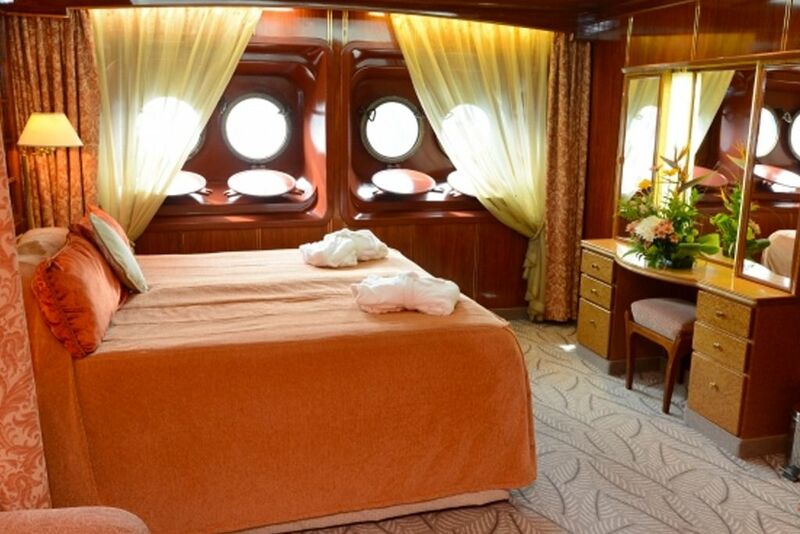 The Island Sky is an all-suites, all-inclusive small expedition vessel with touches of elegance throughout. 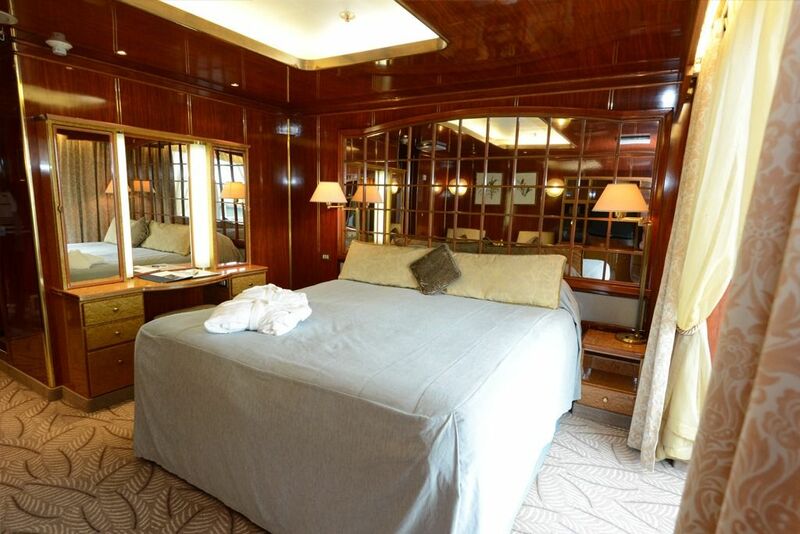 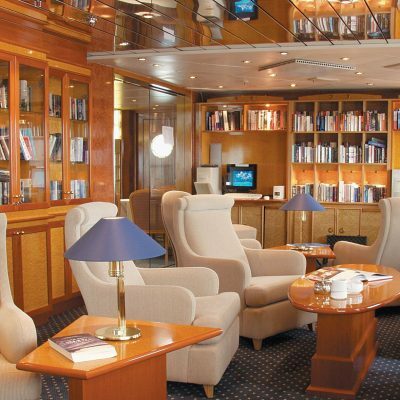 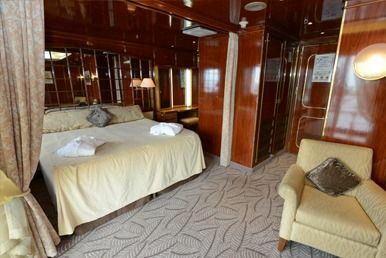 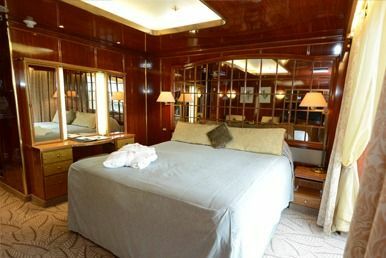 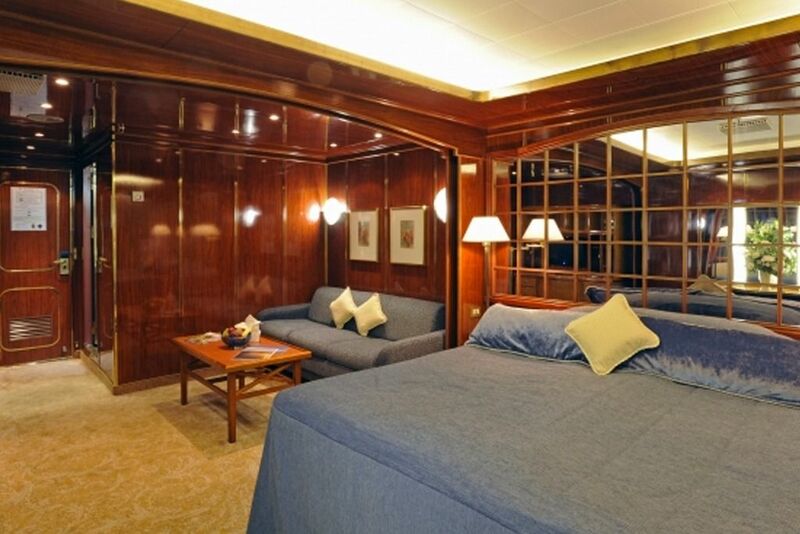 The feeling of luxury is enhanced by the wood panelling and brass, which predominates throughout the vessel conveying the atmosphere of a private yacht. 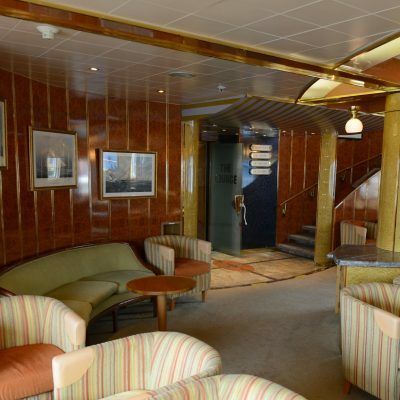 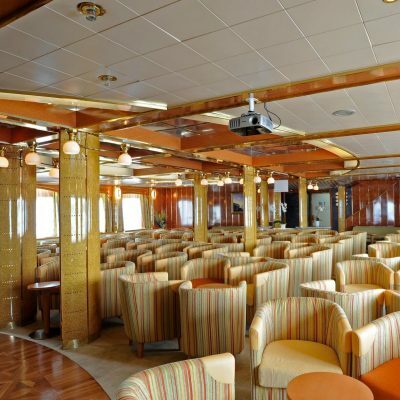 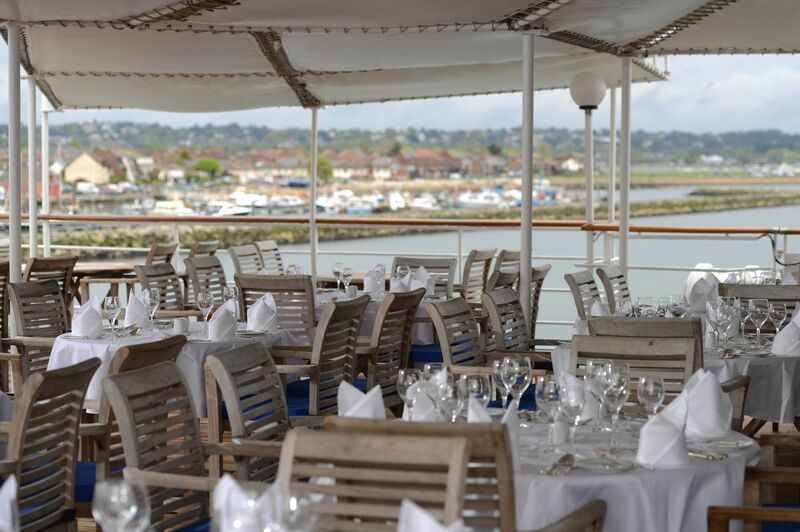 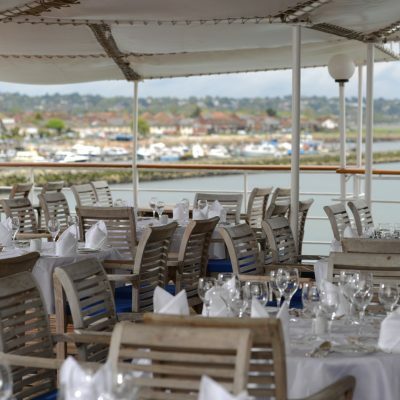 It carries a maximum of 108 passengers and provides an abundance of public space for wildlife viewing, relaxation and taking in lectures and briefings. 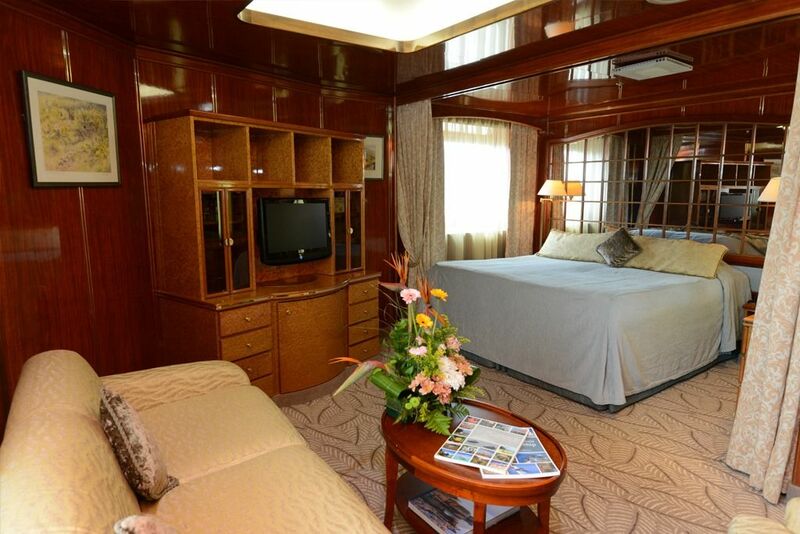 Every suite has private bathroom facilities and an exterior view, while some suites include a private balcony. 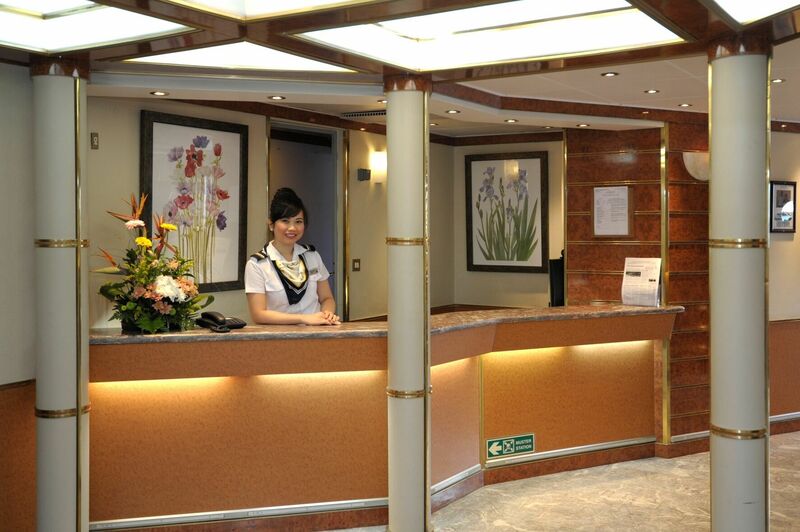 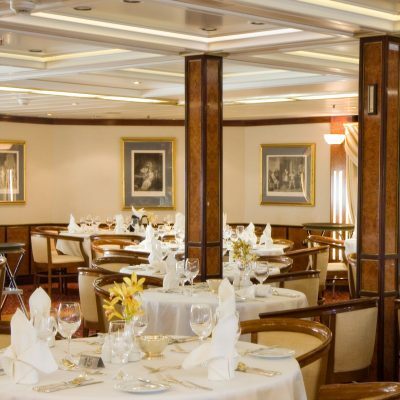 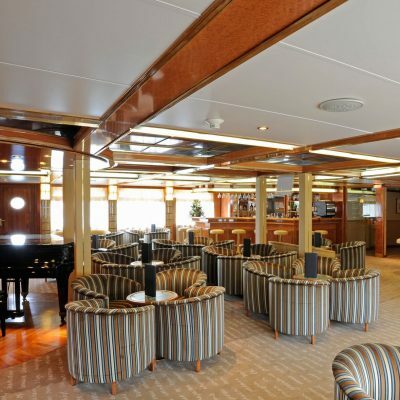 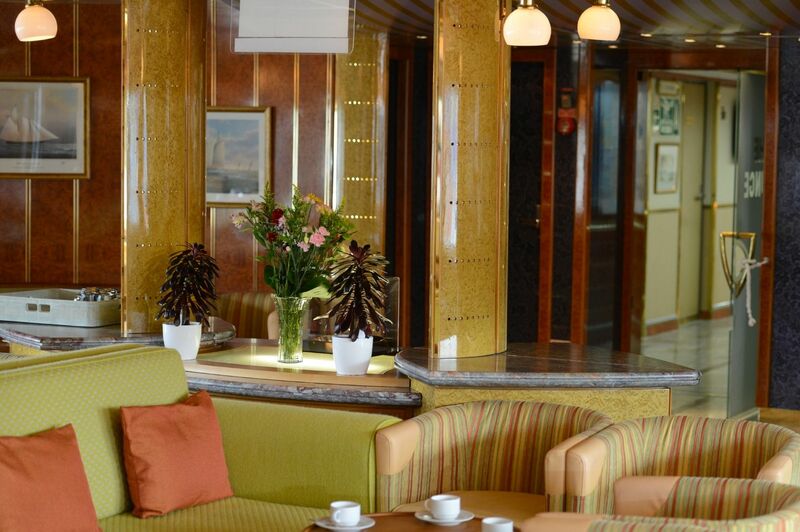 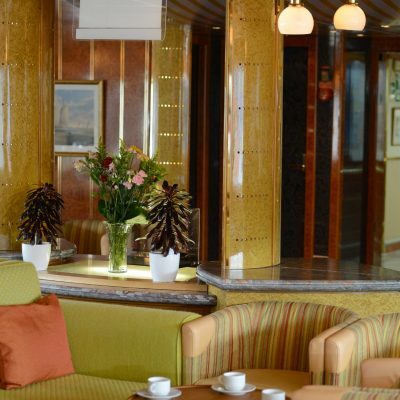 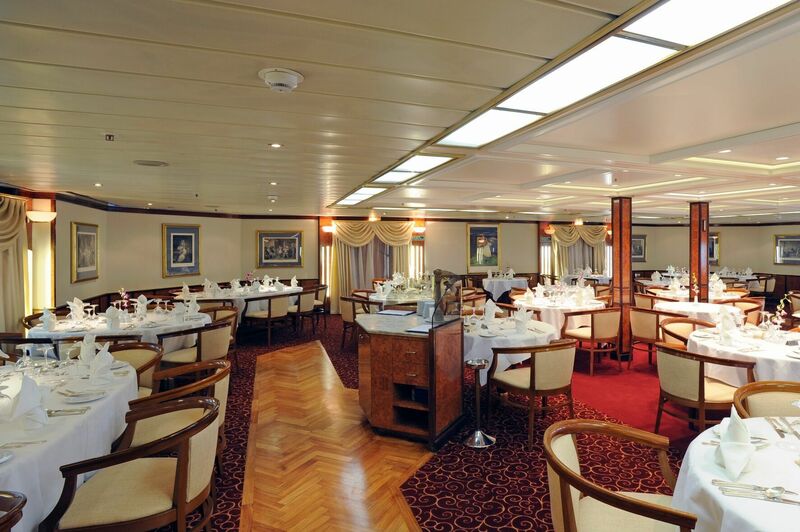 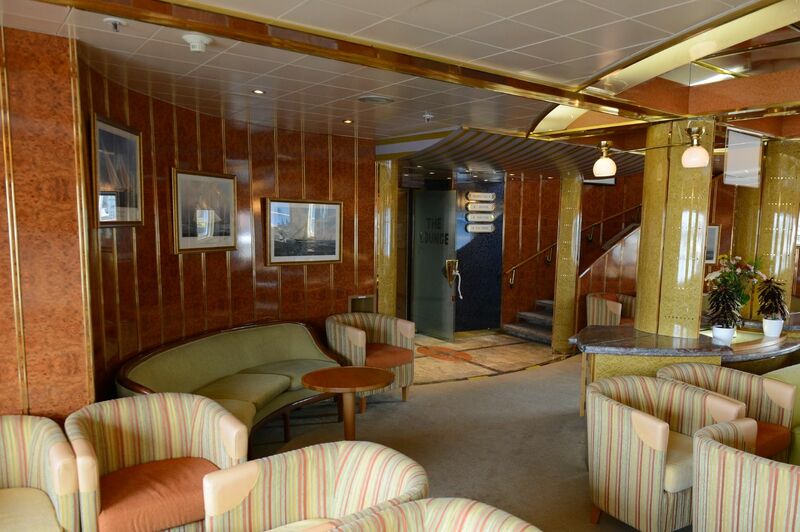 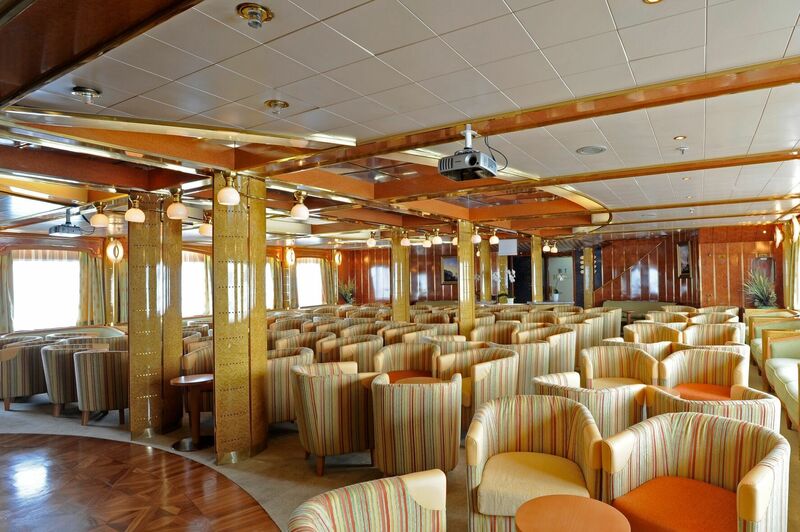 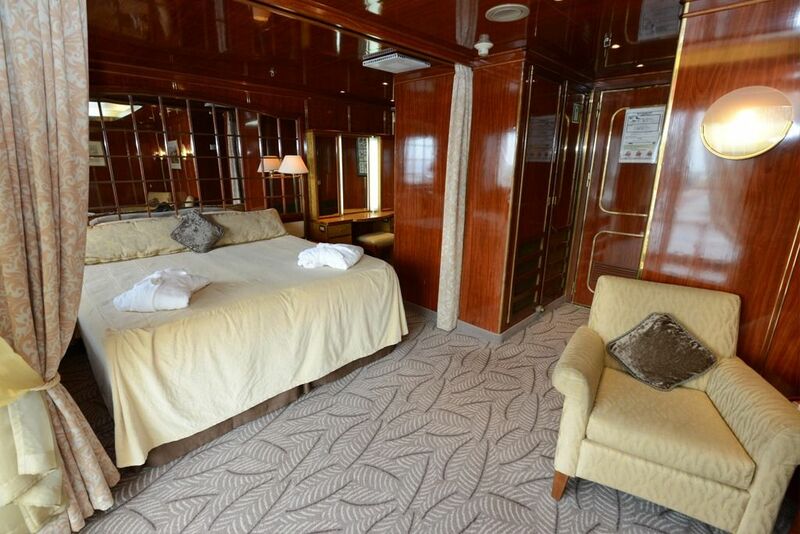 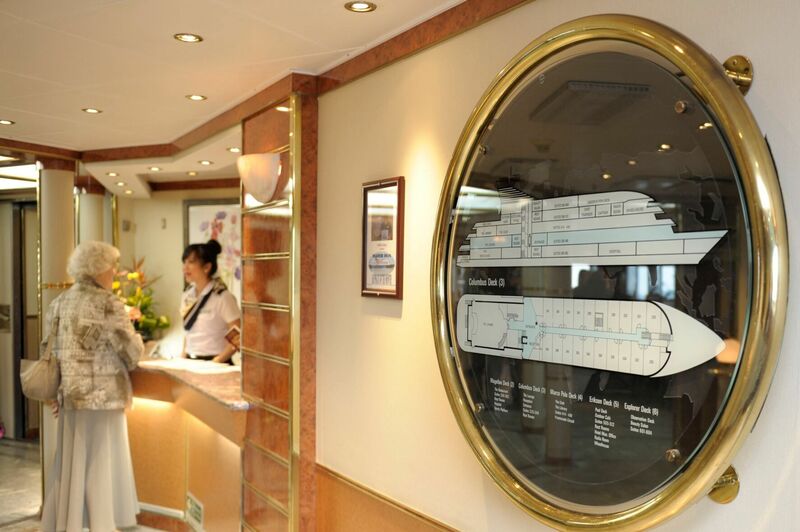 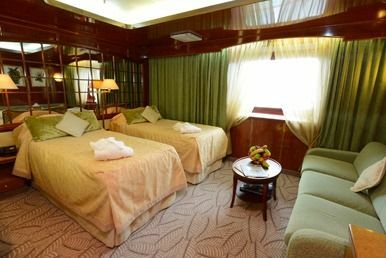 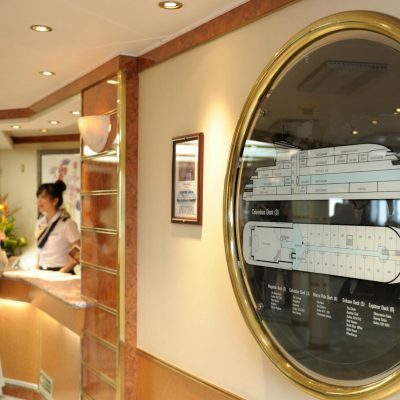 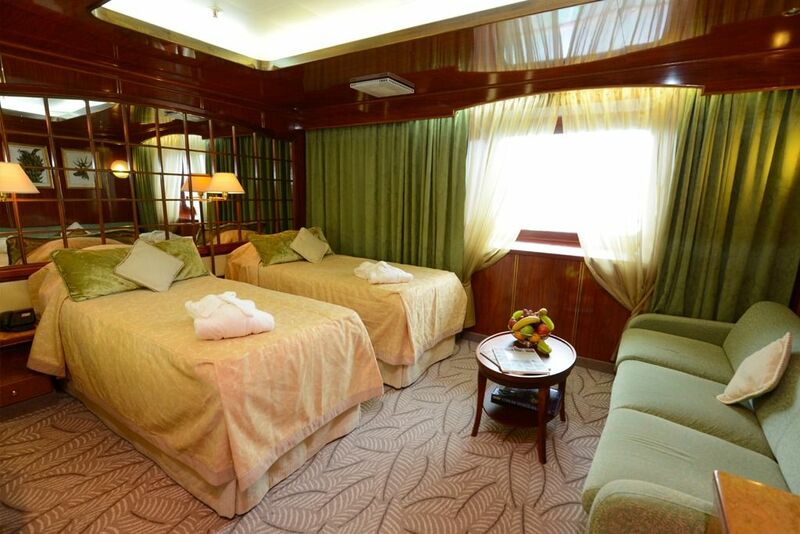 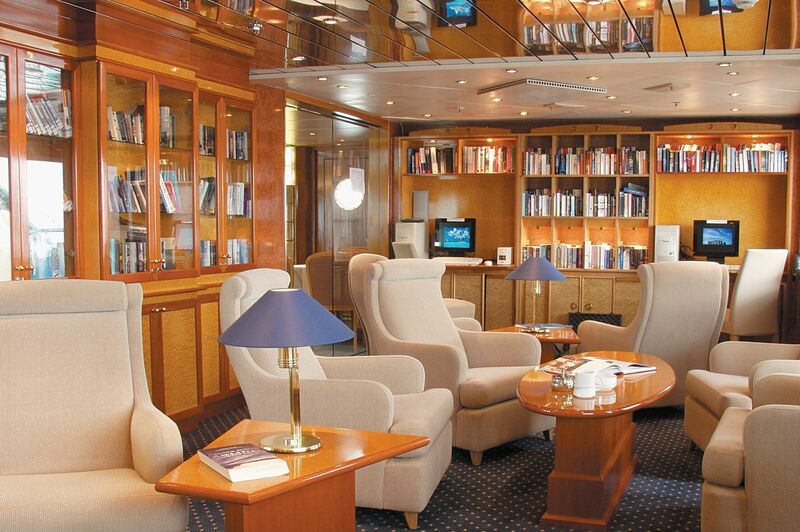 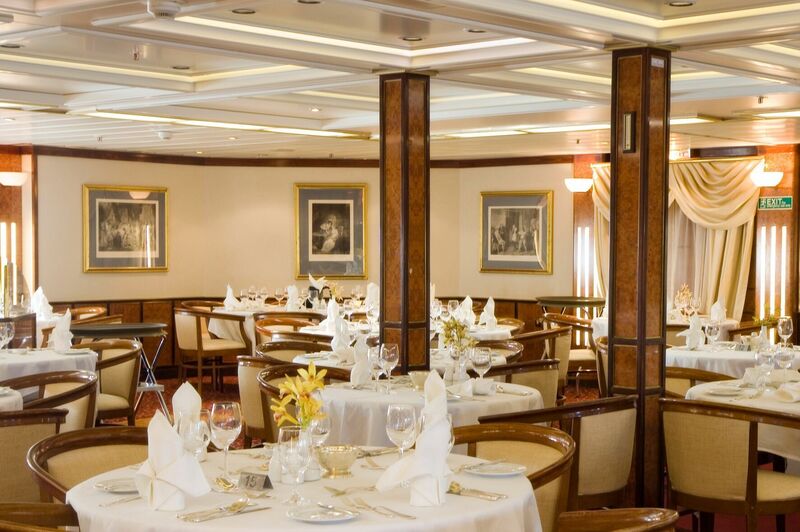 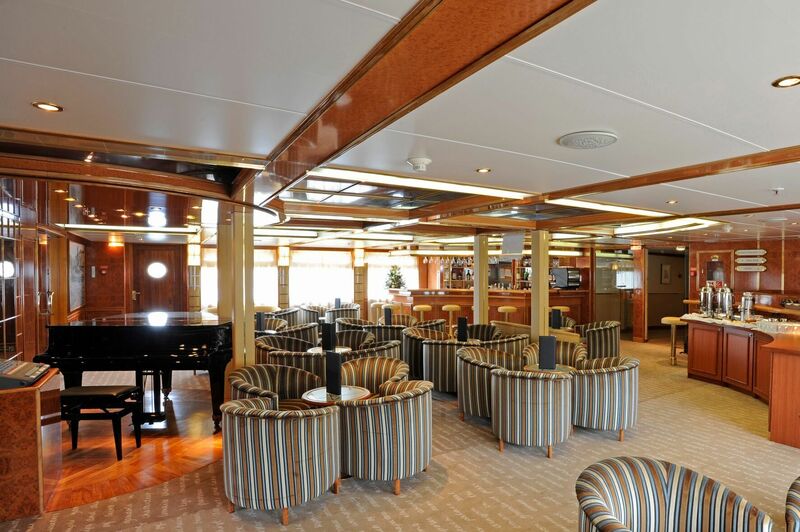 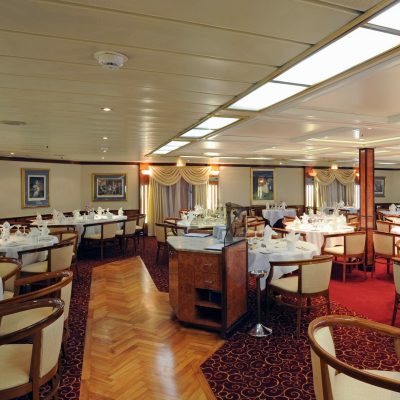 A fleet of zodiacs are available for shore excursion and the ship has an elevator to access all levels. 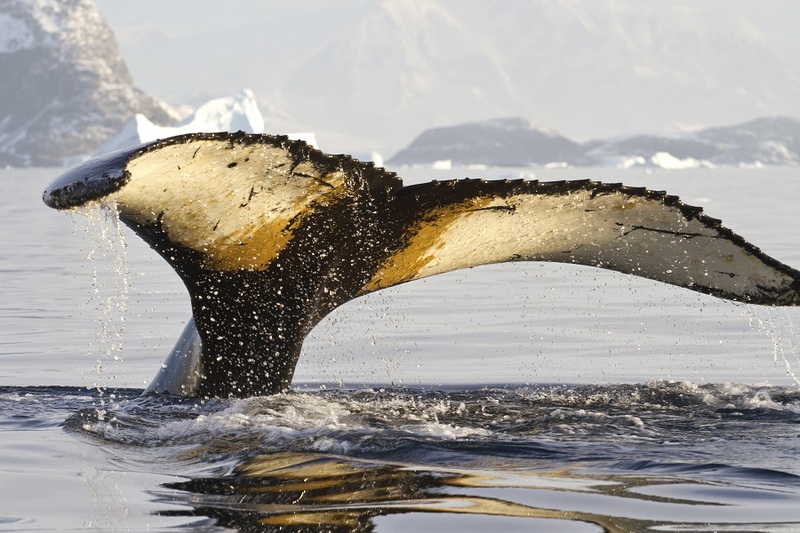 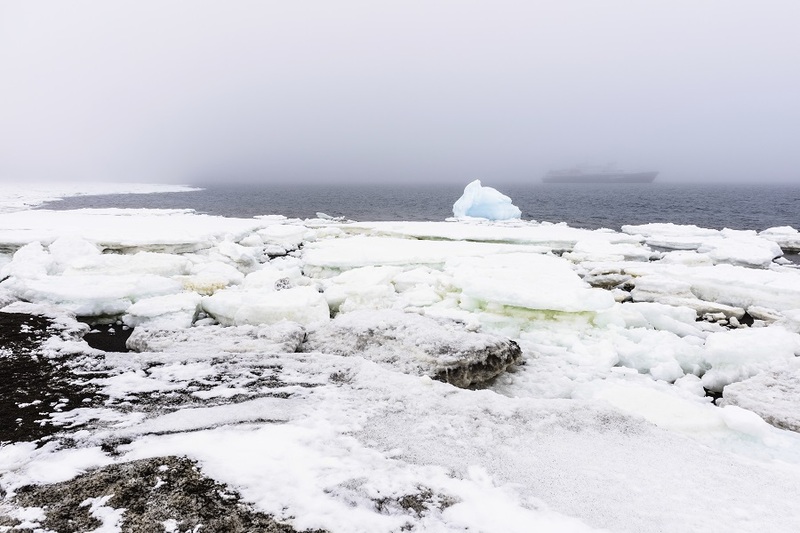 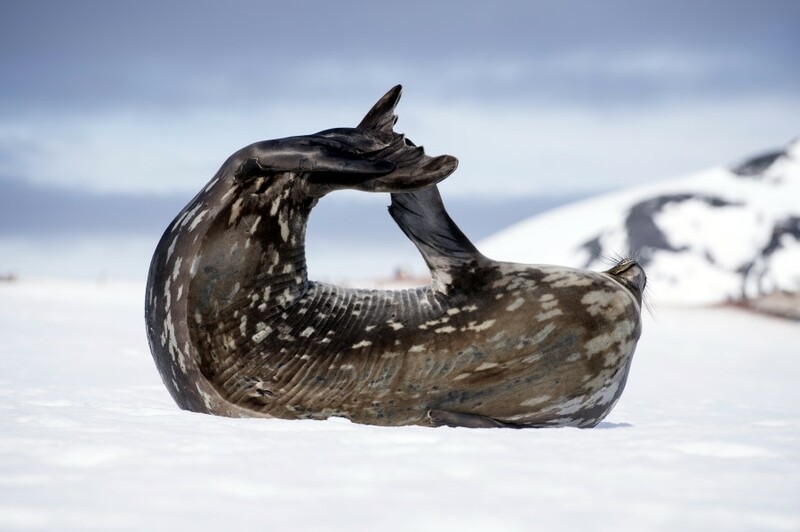 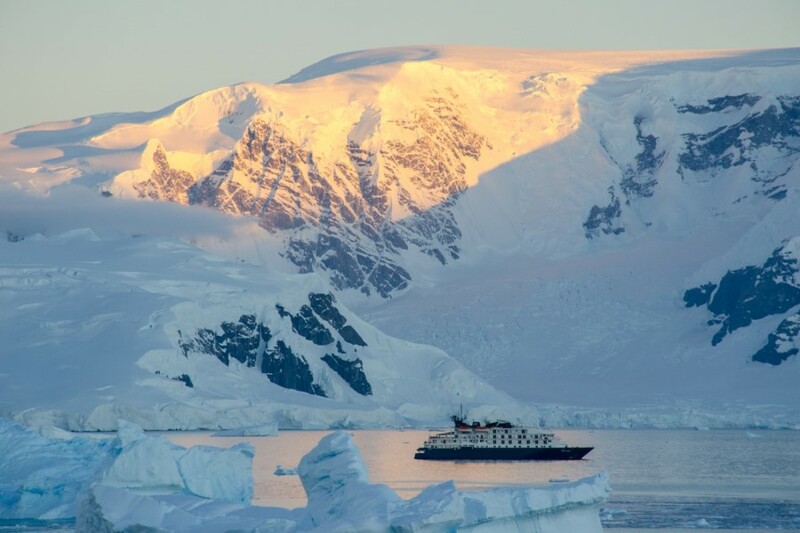 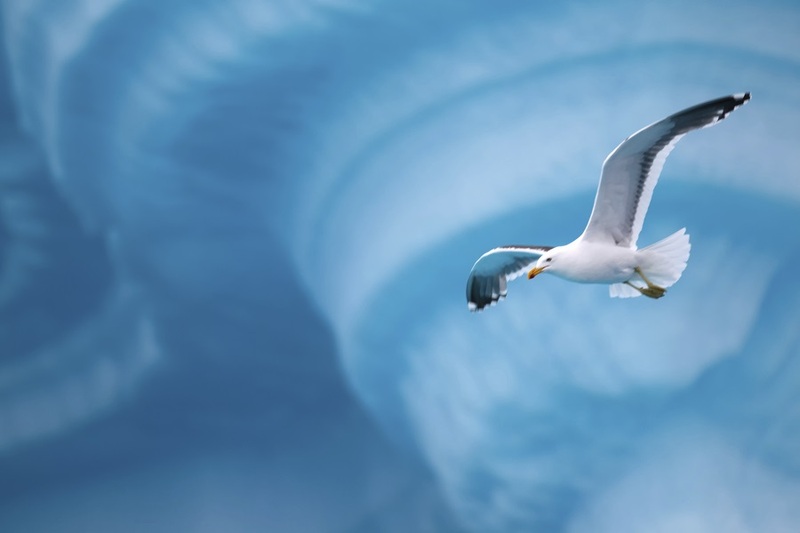 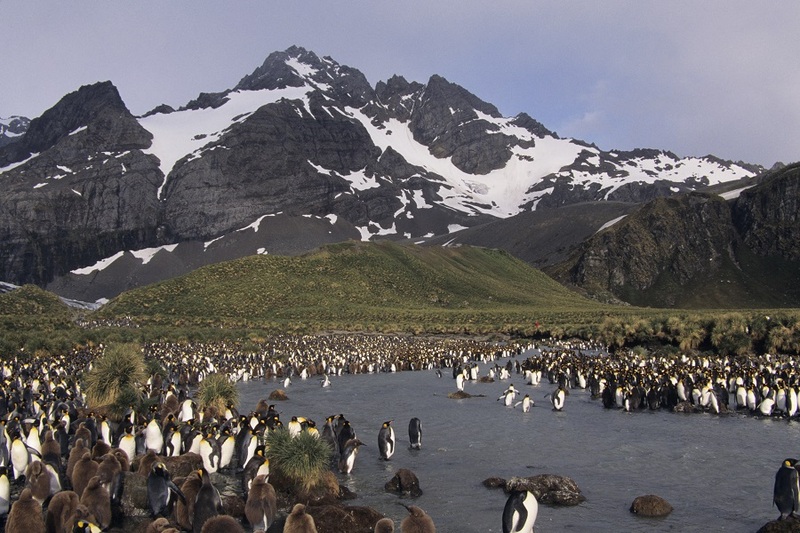 This succinct 11-day version of our “classic” Antarctic Peninsula voyage offers the same abundance of wildlife viewing opportunities and possible stops at active scientific or historic bases as the original while allowing travelers to complete door-to-door travel within two weeks.